When organisations need a registration website for their event they wonder which platform will be able to deliver and meet all of their project objectives. Which platform would better suit your needs? A generic or a bespoke platform. Below is a look at the standard versus the customised platforms in regards to registration websites. A number of different generic platforms offer the ability to pick and personalise from a range of templates. Here, you can alter colours, text and images to look and feel more like your project’s branding. However, more complex designs will not be achievable. You can easily differentiate from other registration websites as the design is designed by the marketing/ sales team to meet all of the websites objectives. By having a generic platform, the features they provide are straightforward but may lack the functionality and flexibility needed. Use a generic platform for a non-complex registration website that has simple objectives and design requirements. Tools will be easy to use and so training will be straightforward. Likewise, the application will be available immediately. Reports are a huge factor when using online event registration websites. Generic platforms may give you a limited list so find the best types of reports to suit your project needs. Customised platforms will be able to give administrators flexibility and better control over tools and how they use the platform. The results are a beautiful registration website where all of the project objectives and the user requirements are being met. Organisations can provide you with better features for your project if it does not fit in with the norm. However the cost of these features can be significantly more expensive and take time to deliver. Reports can be created and changed to fit what administrators need to capture during registration. User experience is affected as the registration process cannot be changed due to the template provided. The user experience for customised websites can be tailored to meet the user’s registrations needs. 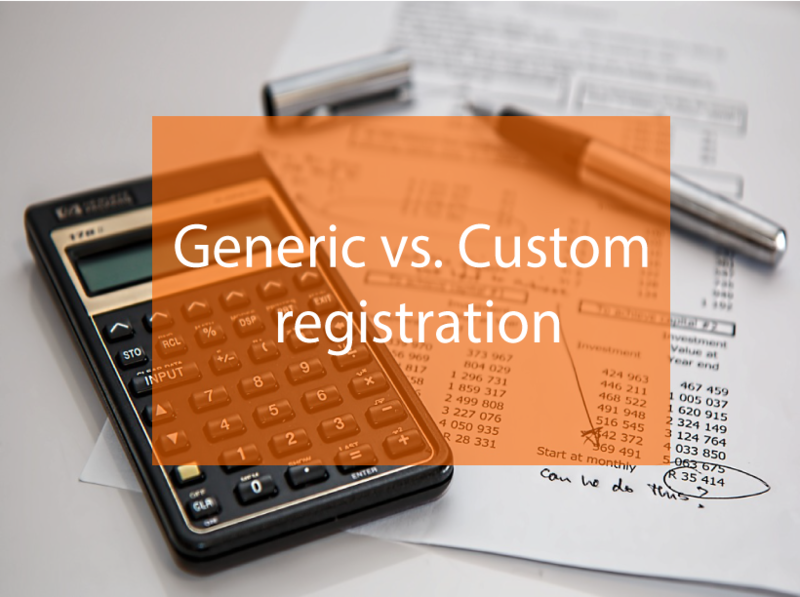 The above gives you a detailed look into why customised vs generic platforms can make a difference to your registration websites.